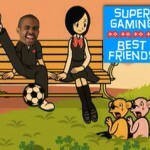 Josh, Ethan and Justin invite Aaron along to work on their relationship skills through snarky D&D, building villages, killing orcs, dropping dreams, hearing geometry, wing manning for weasels, transforming, taking back the crazy city, and more. 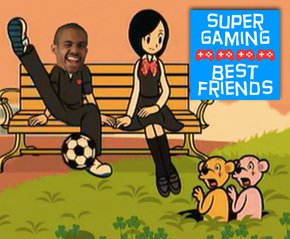 Super Gaming Best Friends: the podcast where Horrible Night writers and friends get caught up on their latest video game adventures and then get to know each other better by discussing off-topic interests. 17:48 – What Are We Playing?